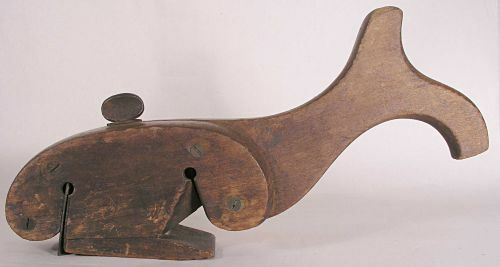 Early wooden paint scraper made to resemble a Whale. 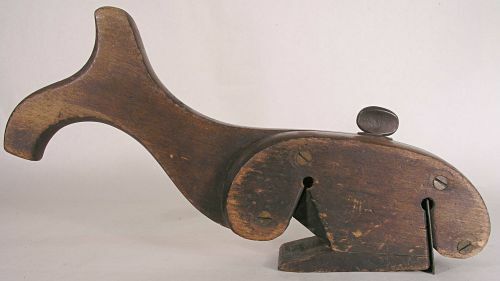 3 piece construction with brass screws and original scraper blade. Dimensions: Measures overall 12" across X 6 1/4" at it`s talles point.